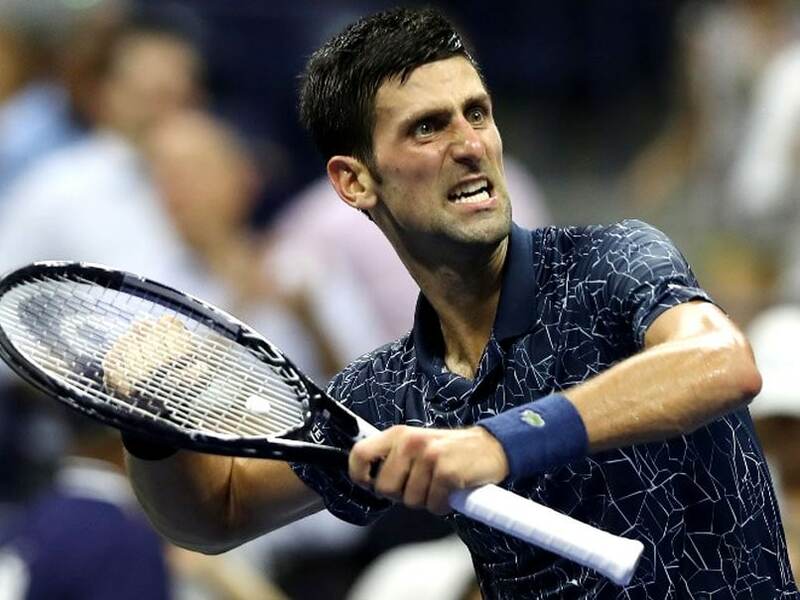 Two-time champion Novak Djokovic ended John Millman's fairytale US Open run on Wednesday, beating the 55th-ranked Australian in straight sets to book a semi-final clash with Kei Nishikori. 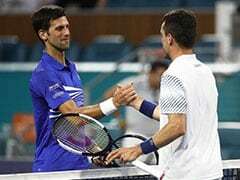 Two-time champion Novak Djokovic ended John Millman's fairytale US Open run on Wednesday, beating the 55th-ranked Australian in straight sets to book a semi-final clash with Kei Nishikori. The Serbian star, who ended a 54-week title drought with his 13th Grand Slam title at Wimbledon, defeated the tenacious Aussie 6-3, 6-4, 6-4 to reach his 11th US Open semi-final in his last 11 appearances. He lifted the trophy in 2011 and 2015. Nishikori, the 21st seed, advanced with a 2-6, 6-4, 7-6 (7/5), 4-6, 6-4 victory over Marin Cilic -- the man who beat him in the 2014 final. Millman, who stunned five-time champion Roger Federer in the fourth round, kept Djokovic running -- and was kept running himself -- for 2 hours 49 minutes on another hot, humid night on Arthur Ashe Stadium. 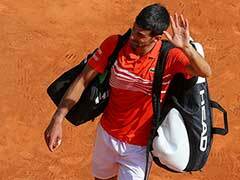 "You survive on the court then thrive with a win," said Djokovic, who converted just four of his 20 break points and made 53 unforced errors before he was finally able to accomplish what Federer couldn't in seeing off Millman. "Very tested," said Djokovic, who admitted that like many he was surprised to find himself facing Millman, not Federer, across the net. "But Millman is the kind of a player that makes you miss the balls, makes you win the point, earn the point. "He doesn't miss a lot himself, so he just runs left, right, gets a lot of balls. 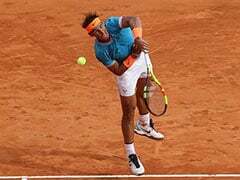 Tactically, you've got to find the right balance between being patient but constructive in the point, but at the same time, be aggressive and take the chance when you have a shorter ball. It's easier said than done." Millman, his clothes soaked, made the unorthodox request to go change after the fourth game of the second set -- Djokovic agreeing. 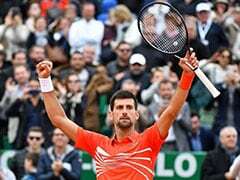 "I needed that rest," said Djokovic, who finally gained the decisive break in the penultimate game of the final set then served it out at love. "I gave it a crack," said the 29-year-old Millman, who has battled a litany of injuries in his career. "I definitely left it all out there today and pulled up a bit short. 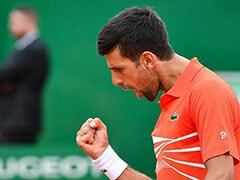 Novak's a champion. He's played a lot of Grand Slams and he knows how to win them." Japan's Nishikori, who missed last year's US Open after a season-ending wrist injury, joined compatriot Naomi Osaka in reaching the semis -- the first time that a Japanese man and woman have reached the last four in the same Grand Slam. But he hasn't returned to a Grand Slam final since, falling in the US Open semis in 2016. "I don't know why but it's always a battle with Marin," said Nishikori, who stretched his career record over the seventh-seeded Croatian to 9-6. He had two game points for a 5-2 lead but a double fault and a backhand wide opened the door for Cilic, who stormed through, shouting "Got it!" when he secured the break to narrow the gap to 4-3. "I try to fight every point," said Nishikori, who boasts an impressive record in decisive sets. "Especially in the end I really focus on every point," he said but added: "I wish I don't go to five sets every time."